The Tre 90 coffee table by Mox is a simple and elegant Salon table, designed by Charles O. Job. The table features a tripod frame and exceptional proportions. 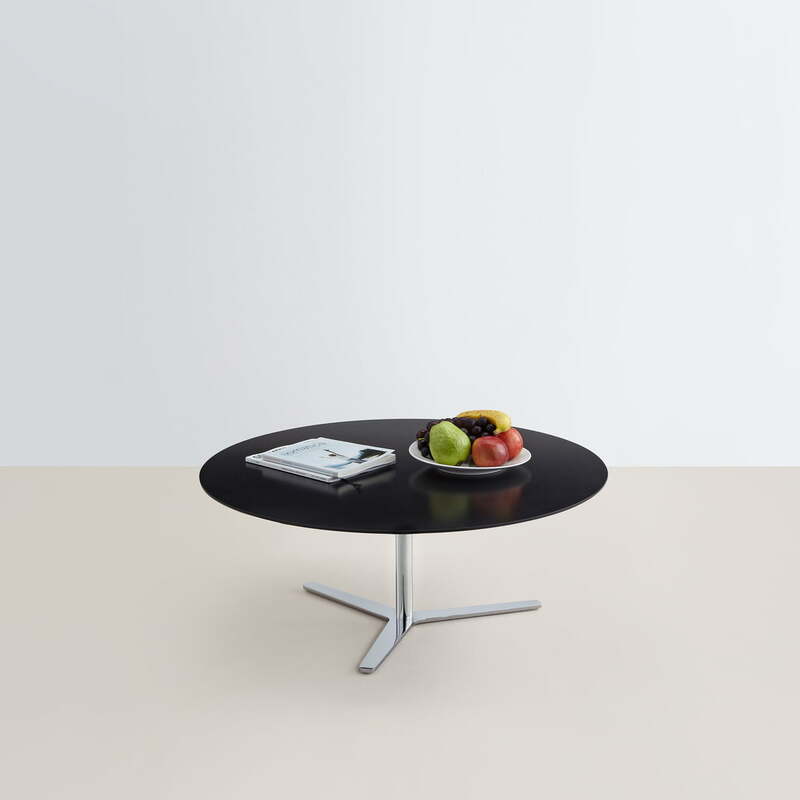 The table’s base is made of powder-coated steel in black or white. Alternatively, the base is also available with a gloss chrome finish. 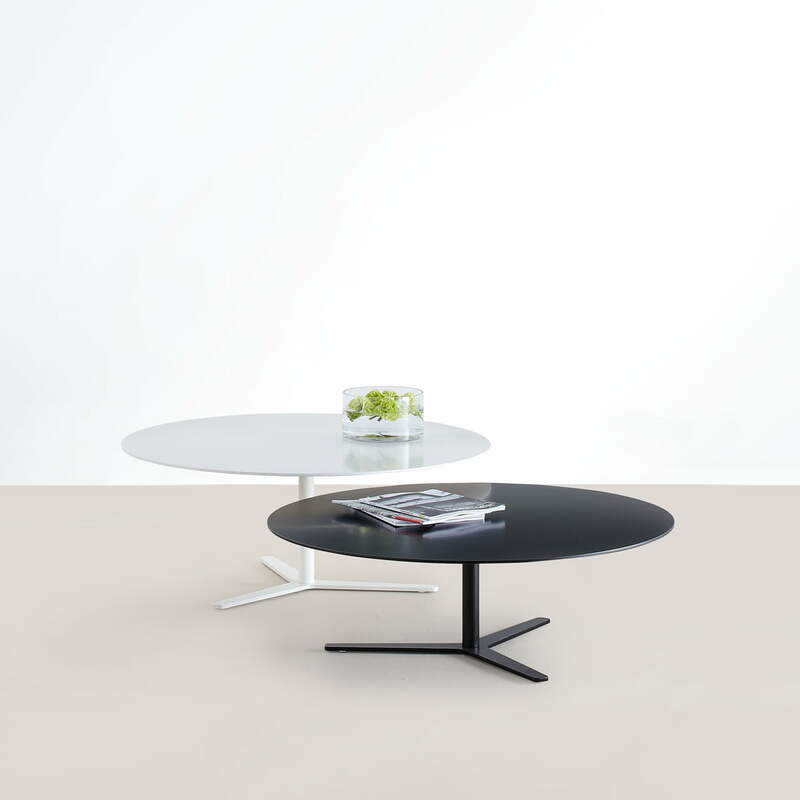 The circular table top is made of MDF matching in black or white. Furthermore is the TRE 90 coffee table available in two different heights. This way two Tre 90 tables allow to be placed next to each other to form a set table. Next to the coffee table, the Tre series by Mox also includes a side table. Product view of Tre 90 coffee table with a height of 30 cm by the company Mox in black. 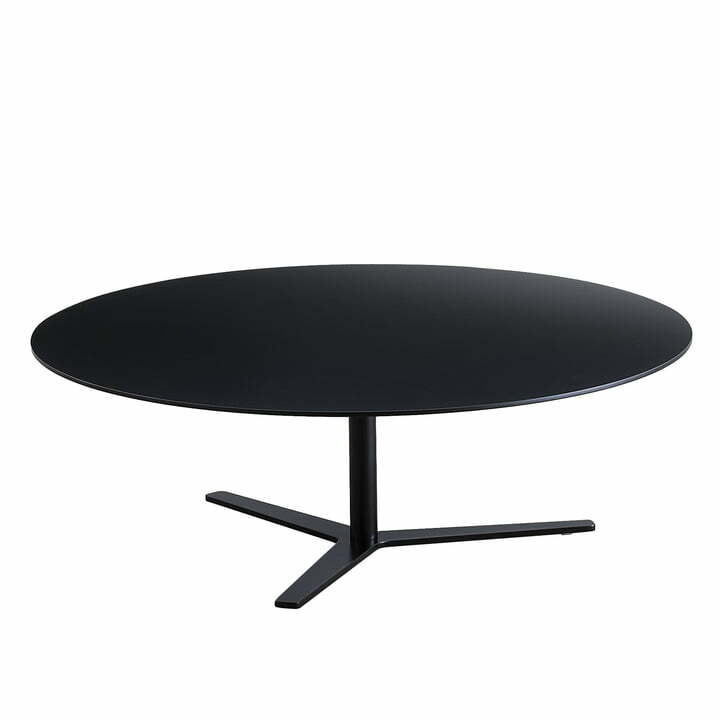 The table is manufactured with a base made of powder-coated steel. 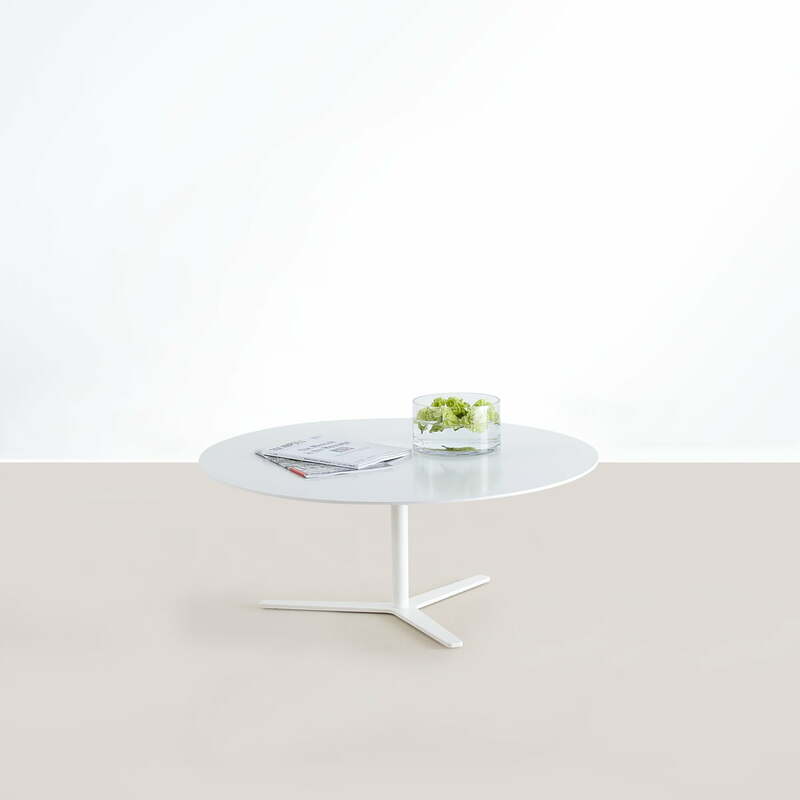 The Tre 90 coffee table by Mox made of powder coated steel and an MDF top in white is a simple and elegant salon table, which was designed by Charles O. Job. Furthermore is the TRE 90 coffee table by Charles O. Job for Mox available in two different heights. This way two Tre 90 tables allow to be placed side by side to form a set table. The Tre 90 coffee table by Mox is in addition to the versions made of powder-coated steel in black and white also available with a base in shiny chrome finish.